Solar power (Solar PV) has solid economics in Alberta and has enjoyed exponential growth largely without any government incentive. Alberta’s combination of lots of sun, low temperatures and expensive billing rates make it one of the best places in Canada to install solar PV. At current solar installation and utility rates and with no government incentive, Albertans can expect solar payback in Alberta to have a range between 12 and 20 years depending on factors that we’re going to be discussing in this blog post. The Town of Banff recently became the first jurisdiction in Alberta offering premium rates for exported solar power. A feed-in-tariff contract is one that guarantees a premium price for solar energy exported to the grid. Without a FIT contract Albertans receive credit for energy exported to the grid at the same rate at which they are charged. Meaning if the cost of electrical energy offered by your retailer is 5 cents per kilowatt-hour then excess energy exported to the grid will receive 5c/kWh. Of course retail rates vary with demand and supply and other market factors. Cost per kWh – how much does it cost to consume energy from the grid? Electrical consumers are charged several items some which are fixed, but most vary with consumption. The variable cost of energy is the incremental cost of consumption. 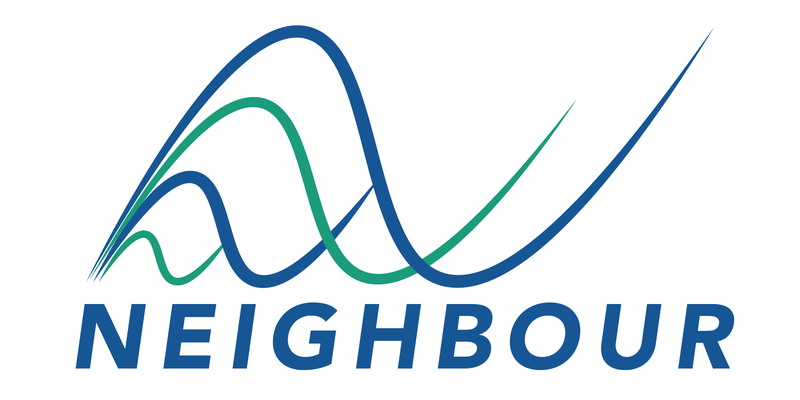 It is made up of cost of energy, cost of delivery and a local access fee. 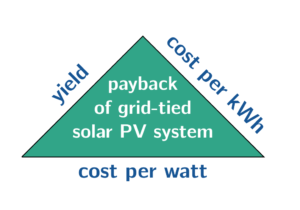 The fixed cost of energy doesn’t play a role in payback because it is not affected by load reduction or solar exports. We also have to consider how fast rates are going to escalate since solar is a long term investment. Cost per Watt – how much does it cost to install a solar power system? Output – how much energy can a solar power system generate? Solar output depends on the location and orientation of the panels, and the impact of shading (if any) from nearby objects. By consuming generated solar energy on-site solar micro-generators avoid paying all variables charges mentioned above (see costs for Calgary below). However by exporting they are only rewarded for the cost of energy (the 8.46 c/kWh). Therefore if micro-generators were to maximize the return on their solar investment they would use their appliances during the day when solar energy is available. The cost of installation is half of what it was in 2011 and a quarter of what it was in 2007, mainly thanks to cost improvements in silicon cell technology.The size of a solar power system is measured by the watt. Four modules (sometimes referred to as solar panels) have a rating of about one thousand watts, which is one kilowatt. The installed cost of a solar power system depends on a variety of items such as the type of solar modules, inverter, racking system. A typical 5kW residential solar power system flush mounted to a roof of a house has an installed cost of about three dollars per watt ($3/W). What to Expect for Solar Payback in Alberta? As highlighted above a solar power system is a long term investment and its economic performance depends on future rates of electricity. Contact us for a site assessment to determine what to expect for a solar payback on your roof. If we assume that rates are going to increase by a compounded rate of 4% solar’s payback will range between 12 and 20 years. Below we are going to take an average example of a home in Calgary. Let’s say a house in Calgary has a solar array made up of twenty solar modules flush mounted to their south roof with a 5/12 pitch. The system produces about 6,000 kWh per year. Let’s say the average billing rate is 12 cents per kWh and the average cost of energy is 8 cents per kWh, and that 75% of the solar energy generated is consumed in the home, and the remaining 25% is exported to the grid for credit. The homeowner spares consuming (75% of 6,000kWh) 4,500kWh from the grid. If they used this amount of energy from the grid it would have cost them (4,500kWh at $0.12/kWh) $540 in total variable energy charges. The 1,500kWh that wasn’t used at home was exported to the grid earning the homeowner a further $120 (1,500kWh x 8c/kWh) in credits spread over their monthly power bills. Total average annual savings are: $660. But remember a solar power system is a long term investment and utility rates are going to considerably escalate for the duration it’s going to be in service. Let’s assume rates inflate by compounded rate of 3.5%. Also, the solar cells’ output decreases over their lifetime. To be safe we are going to assume that it depreciates by the maximum allowable rate covered by most manufacturers’ warranties, which is 0.5% per year every year for 25 years. Below is a table that shows the annual savings made over 25 years (which is the production warranty period for the solar modules). The ballpark installation cost of a twenty modules solar power system (which will have a capacity of about 5kW) ranges from 13,000 to 17,000 (depending on choice of panels, inverters, installation hours etc.) so as we can see this residential grid-tied solar power system example will have a payback between 16 and 19 years.